The ESA Foundation is a non-profit / tax exempt organization pledged to develop philanthropic activities of volunteers, provide assistance to established programs that serve human needs, and produce new programs to improve the quality of life. The Internal Revenue Service has ruled that the ESA Foundation is exempt from Federal Income Tax under section 501(c) 3 of the Internal Revenue code as an organization operating exclusively for charitable and educational purposes. The ESA Foundation was established as the ESA World Center Foundation in 1970 by the ESA Women International (currently known as ESA International). Membership can be obtained by contacting the ESA Foundation Headquarters. The membership fee is $25 with an annual dues assessment of $15 thereafter. Life active membership is a one-time $500 assessment. All dues are tax deductible. This is a public foundation for all persons who share its goals. The fiscal year for the Foundation is June 1 through May 31. In order to vote at the annual meeting, the active member must have their annual dues into the home office no later than March 1. 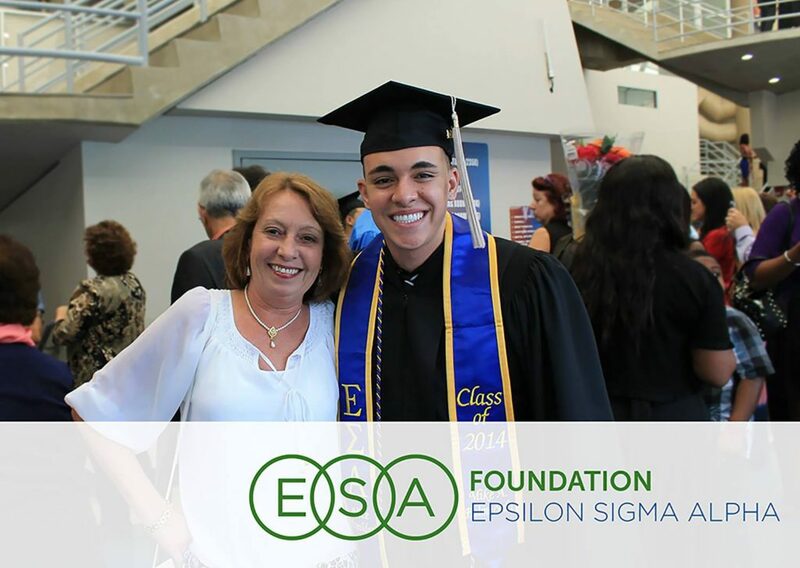 The ESA Foundation awards numerous scholarships annually. Scholarship applications are submitted via the Foundation’s website. When the application has been determined to meet the Foundation’s criteria, it is forwarded to a member of the regional scholarship committee who double checks to see that the applicant meets the necessary criteria. The application is then sent to the scholarship coordinator responsible for the judging of the particular scholarship for which the student is applying. Contributions may be designated or undesignated. Undesignated gifts become a part of the general fund. Designated contributions are used for the purpose designed by the donor. All contributions are tax deductible. To view the scholarships that are available, click here and select your state of residence from the dropdown list. Click here to view a list of Endowment Histories. Click here to view the ESA Foundation Scholarship Guidelines. Click here to learn how to apply for ESA Foundation Scholarships. Click here to sign up for a reminder notification for when the 2019-2020 scholarships.